Congrats to Katie Olmstead of Wilson’s Mills Elementary School in Wilson’s Mills, our Gold Star Teacher of the Month for April! 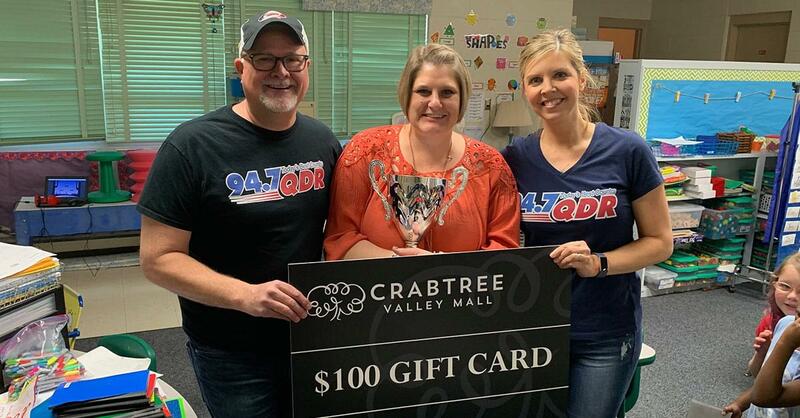 We presented Katie with a trophy from Creative Images and a $100 gift card from Crabtree Valley Mall! Thank YOU for all you do Katie!